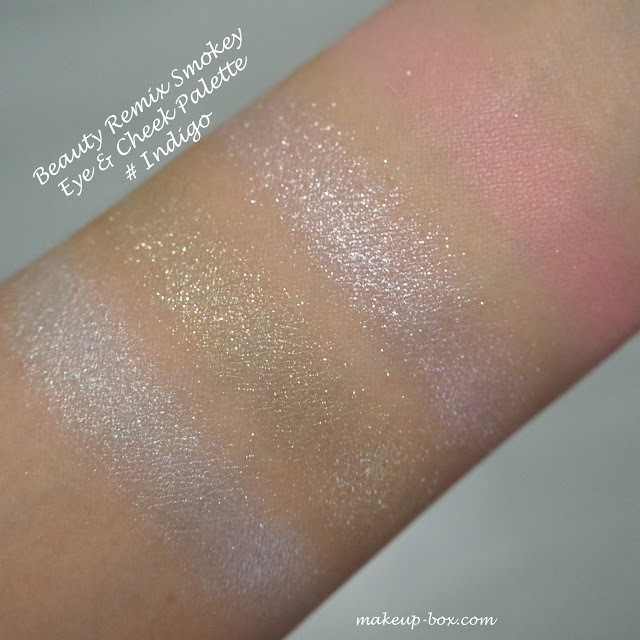 Often when makeup looks like airy, dreamy spun-sugar confections, they don't necessarily flatter the face. But Shu has done it beautifully this holiday season with the upcoming Shu x Maison Kitsuné collection. The up-n-coming Japanese design house Maison Kitsuné is known for very eclectic but tasteful mixing of contrasting elements, but the final effect is relaxed, tasteful, and fun. 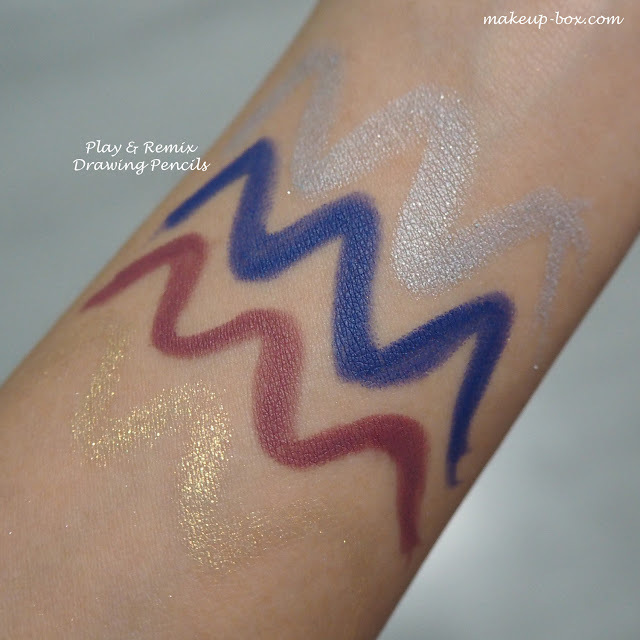 This is translated into the makeup collection by Shu, where we see plums paired with silver and persimmon orange, or deep indigo and icy steely colors blended with soft petal pinks and sparkly gold. 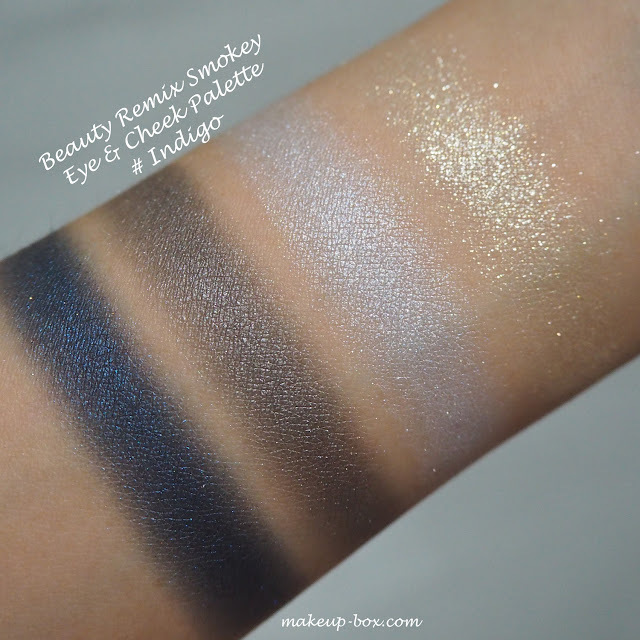 They also pair deep smoky shades with translucent fairy sparkle, and while most people would not think to pair purple shadows with orange cheeks and lips, the overall effect is actually beautifully balanced; colorful but not too loud, and neither too cool nor too warm. They are both flattering and very wearable, although I find Plum a bit more suited to daily wear, and Indigo slightly more dressy simply because the cool midnight blue and steel grey tones stand out a bit more than the warmer plum and taupe tones. There are 4 Play & Remix Drawing Pencils to go with the collection, and I personally prefer the 2 matte ones because they just give a lot more color impact, although the silver and gold would be nice as soft accents along inner corners, or traced along the upper lash line when not wearing strong colored shadows. As for the lip shades, they are BEAUTIFUL. Love these. There are 3 Laque Sparklers. Just the name sounds so festive and fun already. There are 3 shades, and all 3 are lovely. 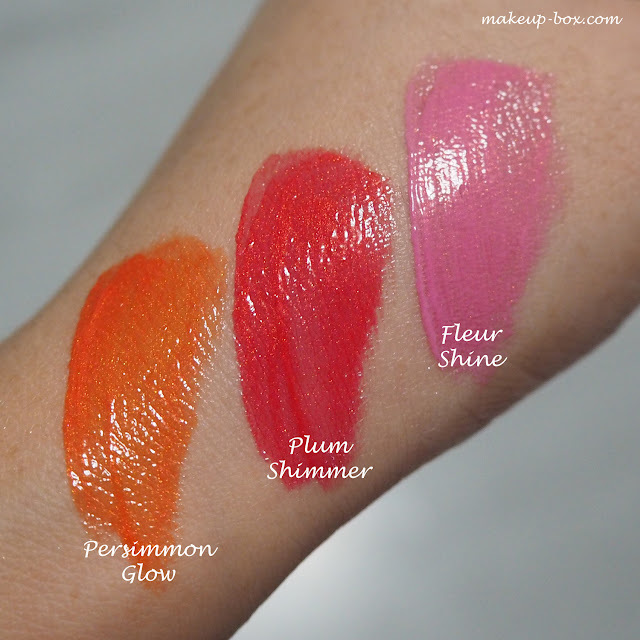 There is Persimmon Glow, an acidic orange, Plum Shimmer, a strawberry red with pink undertones, and Fleur Shine which is a soft mauve-y cool toned pink. Each one is shot through with fine microsparkles. to make your lips look even more dressy. 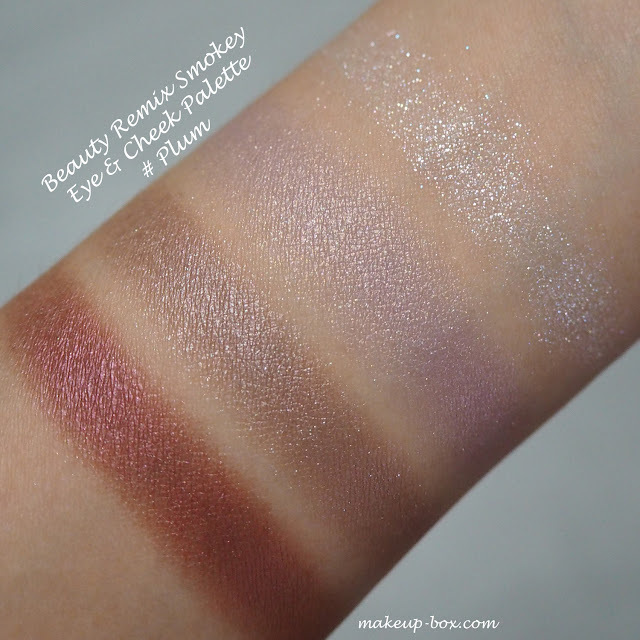 I wanted to show more than wrist swatches, so I did a look this morning using the Plum palette, M plum pencil, and Persimmon Glow Laque Sparkler. You CAN get a soft, wearable look with these if you go easy on the darker shades. 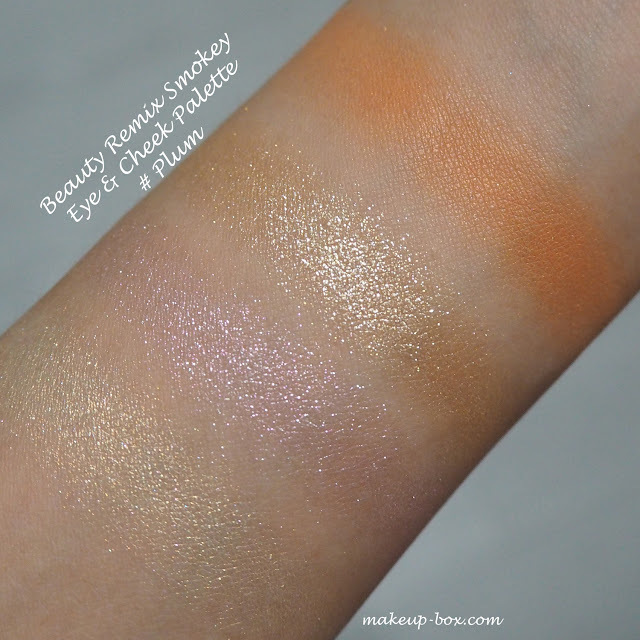 Everything these days is quite translucent and buildable so it's easy to just pop a few soft colors on, add a medium shade in the socket, apply liner and go. 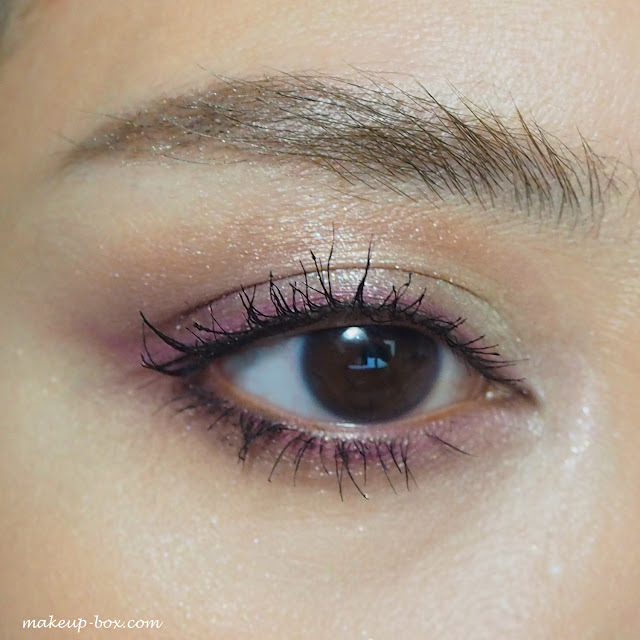 If you need more drama, just add more of the darker shades around the outer half of the lids and along the upper and lower lash lines. 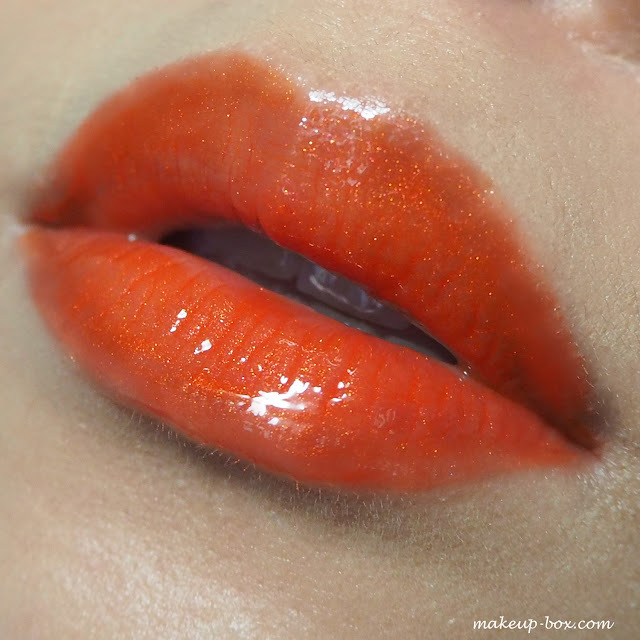 As for the lips, I recommend applying 2 coats of Laque Sparklers. The applicator deposits a light layer on the first pass, and that's ok but with defeats the point of getting these beauties. 2 layers is just right because you get richer color, a deep shine, and the golden sparkles will also come through more. Don't worry about these being sticky and gloopy. They have a gel-stain texture so they're quite light and fresh feeling. And if nails are your thing, Shu x Maison Kitsuné has 2. 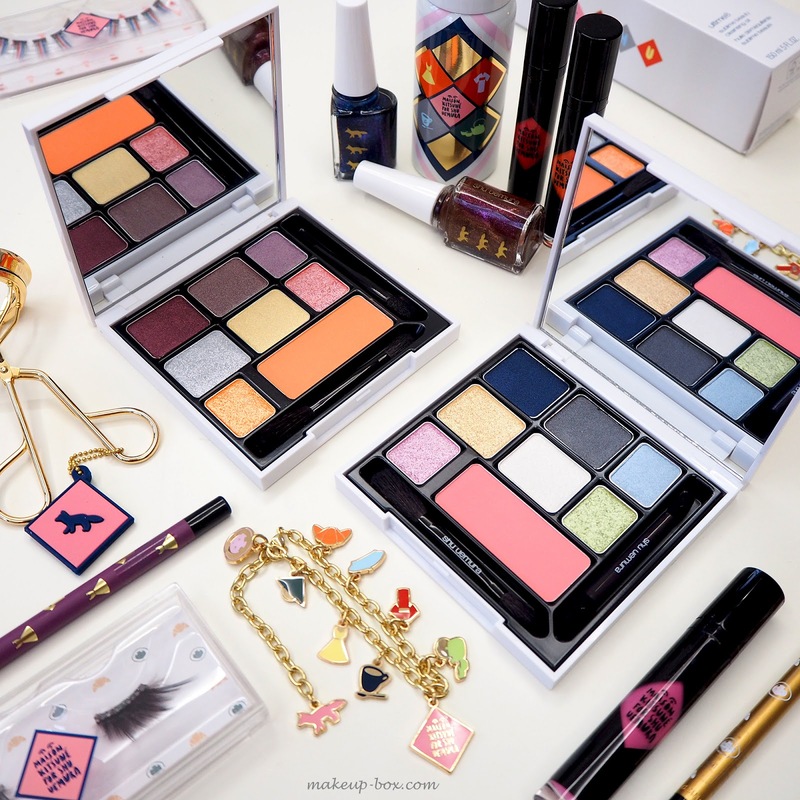 They're themed to go with the eye palettes but are more in line with the Fall/Winter theme. 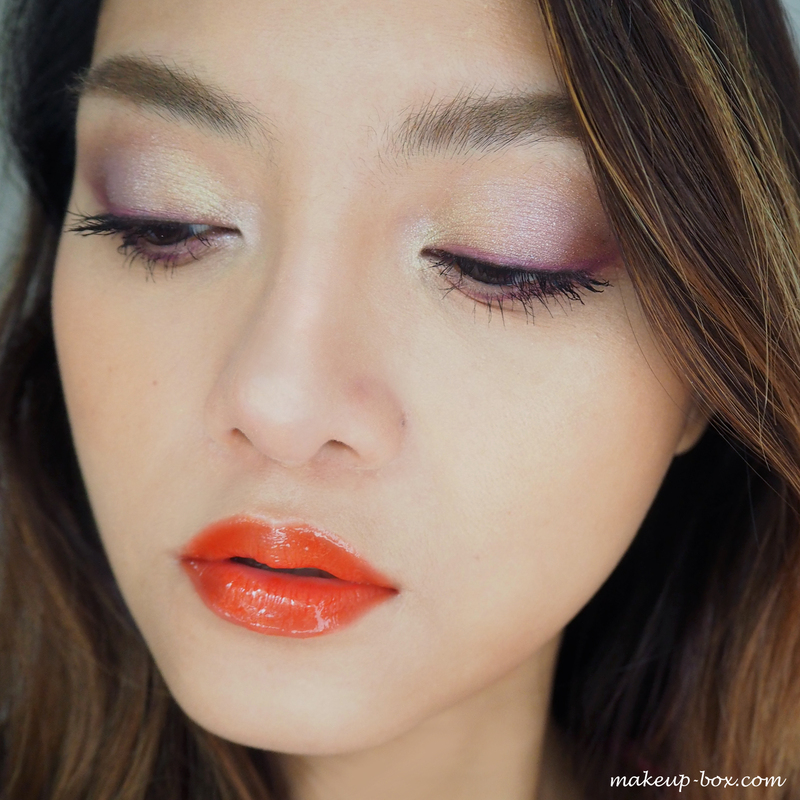 Both shares are deep and rich metallics, to balance the sweetness on the face. Shu x Maison Kitsuné is out at the ION Orchard boutique and will be available at all Shu free-standing counters and boutiques from 1 Nov!